We invite you to contact us today to discuss your dental care. Please don't hesitate to call us at (808) 671-5555. No Temporary crowns or bridge. NEED DENTURES? Experience denture problems? We have solutions in 48 hours or less!!! If you would like to visit our office, feel free to contact us today at (808) 671-5555. Thanks a lot to all the staff of Smile Dental. They're all very professional and friendly. I can recommend to my relatives and friends. 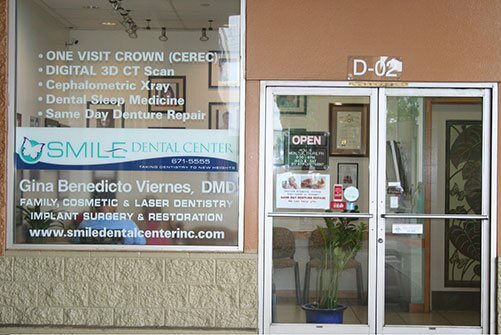 I would walk forever to come for all my dental work w/Dr Gina Viernes & staff! Best at customer service & teeth cleaning.....most comfortable experience in my entire life....Dentistd are always the last place I want to be but life is wonderful visiting Smile Dental Waipahu.